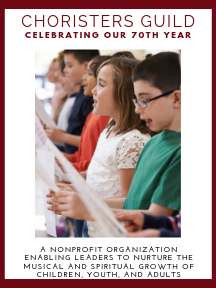 This collection of service music for children's choirs follows the highly successful publication, Worship Leaders, Vol. I (CGA897). In this second volume, two introits (calls to worship), a Kyrie setting (prayer of confession), and a benediction all use texts from the Psalms. The pieces are easy to learn with several of the anthems incorporating an optional second part for voices that could serve as a simple introduction for teaching two-part singing. Don't miss CG's popular collection of service music for middle school, high school, and adult choirs: Worship Leaders for Mixed Voices (CGA994). Sound file: 1. Come, Let Us Sing, ms. 1-27; 2. This Is the Day, ms. 1-27; 3. Have Mercy on Me, ms. 1-end, no repeat; 4. ms. 1-end.